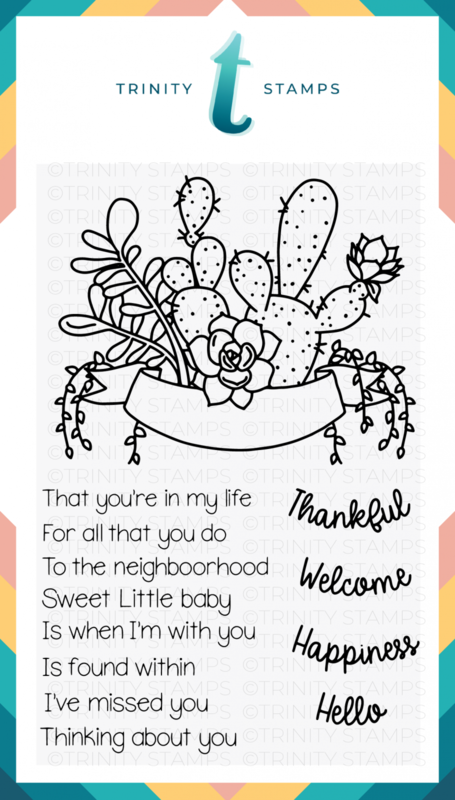 Succulent Banner is a 4x6 inch stamp set with 13 individual stamps. 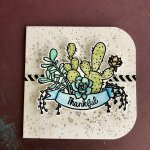 The large banner has beautiful succulents to color and 4 script sentiments to stamp inside the banner itself as well as 8 different coordinating sentiments to stamp below the banner or on the inside of your card. 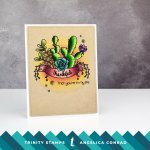 Match images with our 4x6 "Let Love Grow" stamp set for a fantastic layered look to your project. Coordinating die available. Click HERE to view the Succulent Banner die.